As a general dentist, it’s my job to educate patients on how to take care of their oral health. Most patients expect us to evaluate just their teeth and gums, but it’s critical to evaluate the soft tissue, the tongue and lips as well. 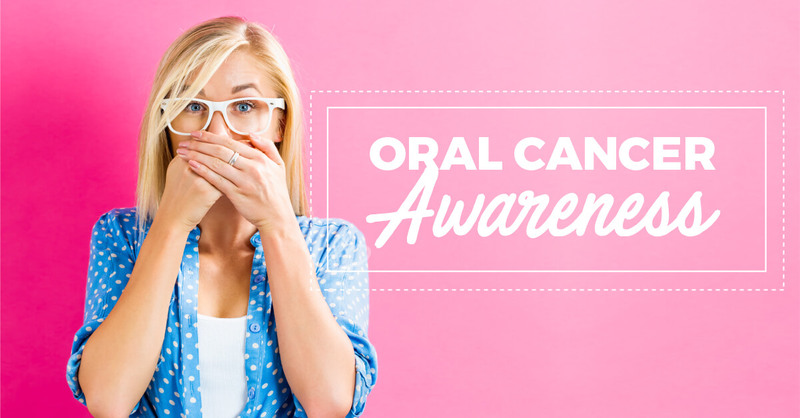 Oral cancer is very real and can be very sneaky, so early detection is key. In its early and even later stages stages, you cannot feel it. It’s much more common than patients realize, and it’s imperative that everyone has an oral cancer screening yearly. Typically men are affected 6 times more than women. As the average age has historically been around 60 at time of diagnosis, this number is rapidly declining. It’s not necessarily an “old age cancer” anymore, so all of us have to take active measures every year for prevention. While we do oral cancer screenings visually and with palpation, we also use a special blue light called a VELscope which uses fluorescence to highlight mucosal abnormalities. The ultimate gold standard for diagnosis is always a surgical biopsy, but this technology is a solid and non-invasive adjunct to early detection. The procedure is fast, easy, and is a regular part of your hygiene exam. Risk factors that contribute to oral cancer include genetics, alcohol, tobacco use, and HPV. What can you do to prevent it? Make sure that you wear sunscreen on your face as well as your lips! Refrain from smoking or chewing tobacco. Minimize alcohol consumption. If you use mouthwash, ensure that it is alcohol-free. HPV vaccines have been shown to be effective, so discuss with your physicians when to properly vaccinate your children. As if you needed another reason to come visit @yourfavoritedentist, let’s add this to your list. Life is precious so let us keep you healthy and living your best life!